These perfectly simple Reebok Men's Black RB1865 Centose EH Internal Met Guard Composite Toe Shoes take the shoe-picking hassle out of your morning routine. Not only does the low-key design and neutral black leather go well with any outfit, these babies will be the ... (see full details) (see specifications) #RBKRB1865. These perfectly simple Reebok Men's Black RB1865 Centose EH Internal Met Guard Composite Toe Shoes take the shoe-picking hassle out of your morning routine. Not only does the low-key design and neutral black leather go well with any outfit, these babies will be the only pair you need. With the wide variety of safety features this Reebok style offers, it makes them the perfect choice for nearly any casual or active occasion. This premium workwear offers reasonable protection of your feet from head to toe. Well, make that from ankle to toe. The SureGrip Plus rubber outsoles on these Reebok shoes give you plenty of traction and slip-resistance, a nice benefit wherever your destination may be. These exceptionally durable shoes also feature internal met guards, which protect the top of your feet, and with composite safety toes, you've got metal-free almost-whole-foot protection that won't weight you down and make the day drag on. And just in case you need that little extra boost to keep you in the game and ready to work, there's a removable EVA cushion insert in this internal met-guard footwear and sponge rubber heel wedge to keep the bounce in your step and the foot aches away. Get all-around protection in a pair of deceivingly simple work shoes. Reebok Black RB1865 Centose EH Internal Met Guard Composite Toe Men's Shoes are great for many occasions, with their classic style, neutral design and color, and features that meet many workplace standards. Fit good, comfortable. Just didn't hold up. Side blew out after 5 months. (Below big toe-half way to heel) Drive truck, so not on them all day. Just expected better. This style replaced an older style/brand that lasted 2 years. These shoes are very comfortable but don't uphold. This is the second pair and wont buy again.Purchased the second pair because the first pair was so comfortable and thought maybe where the stitching came out was where they just didn't sew them good. First pair sole fell apart and the second pair the insides came out and around the steel toe padding came off. these shoes never broke in to get comfortable. they were horrible at first and got better, but still not acceptable. after only a month the stitching is starting to fray and break. i'm not easy on my shoes (auto tech) and i do not see these things lasting. i'm glad they were on sale so i won't feel so bad tossing them. These shoes are a great price for internal met sneakers, not many out there yet. I have been wearing for about 4 years now, they last between 6 to 11 months depending on work schedule. I have found that if you get 2 pairs and swap out daily they last much longer. All shoes that I wear at my job fall apart, these are the lightest and most cost effective for my work as a maintenance tech in an equipment manufacture company. 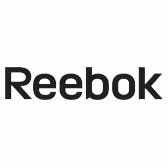 Reebok Shoes: Men's RB1865 Centose EH Internal Met Guard Composite Toe Shoes is being added to your cart.